There is POWER in the WORD! of God. By His Word, God framed the world and all creation came into existence by the spoken word of God. Through the Word of God in your mouth, you can formyour own world and by the instrument of prayers you can influence your destiny and the happenings around you. You have control over your spiritual environment and atmosphere when your prayers are based on the Word that came through the mouth of God. Prayer is no prayer when it is not Word-based. 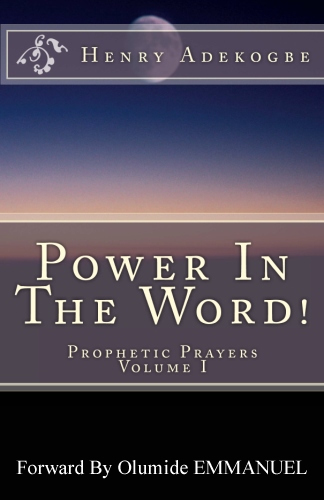 That is what this book is all about, Prayer-By-The-WORD! When you receive and pray the anointed prayers in this book and the God-inspired prophetic declarations, when you mix it with faith in your heart, you will see the miraculous power of God working in you and in your situation producing great results, miracles, signs and wonders. Give an Offering or Pay your Tithes here.